What a difference a specialist makes ………….. I saw a Neurologist last week who is an actual MS Specialist. It’s been 8 years since my diagnosis and the only specialist I’ve seen was one my parents paid for after diagnosis. He was great and took time and effort during the consultation, agreeing to take me on as an NHS patient. The difference when I saw him as one of the “great unwashed” was incredible though! 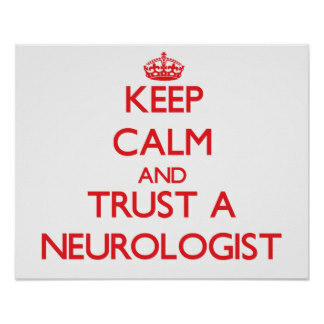 He barely looked up from his desk and referred me to a neurology nurse (not an MS Nurse Specialist I might add) who didn’t know much about MS.
A few years later I insisted on a new neurologist who ordered an MRI scan (the first since diagnosis) that never materialised, then she disappeared! I was then referred to another Neurologist who also didn’t know much about MS (Honestly!) Every time I asked a question he would say, “Oh, I’m not sure about that, I’ll need to write to Dr R” Dr R is the MS lead in my area and seemed to be the only person who knew anything about MS! By the time he’d had a reply from the elusive Dr R I’d stopped injecting myself and resigned myself to the MS scrapheap that is SPMS. My Neurologist ordered a new MRI to confirm the new diagnosis and I went along willingly. It didn’t take as long as the last one but I trusted that they knew what they were doing. The results were never discussed with me anyway. Eventually I got cross with all this and asked my GP to refer me to Dr R, figuring I’d cut out the middle man and save everyone some time! He was brilliant! He read my notes, no doubt recognising his numerous letters! He was surprised that the latest request for an MRI had only asked to look at my spine rather than the whole picture and said you couldn’t possibly conclude SPMS on this evidence! He said he doubted I have SPMS as I haven’t actually progressed in 4 years and have had suspected relapses during that time. He then talked about medication I should be on and said he’d arrange an MRI without further ado! Hurrah! 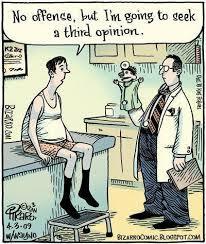 1 week later and I have an MRI appointment and a referral to the physio team to “address” my drop foot issues! Let’s hope the lack of disease modifying medication in the last 4 years hasn’t had a lasting effect!